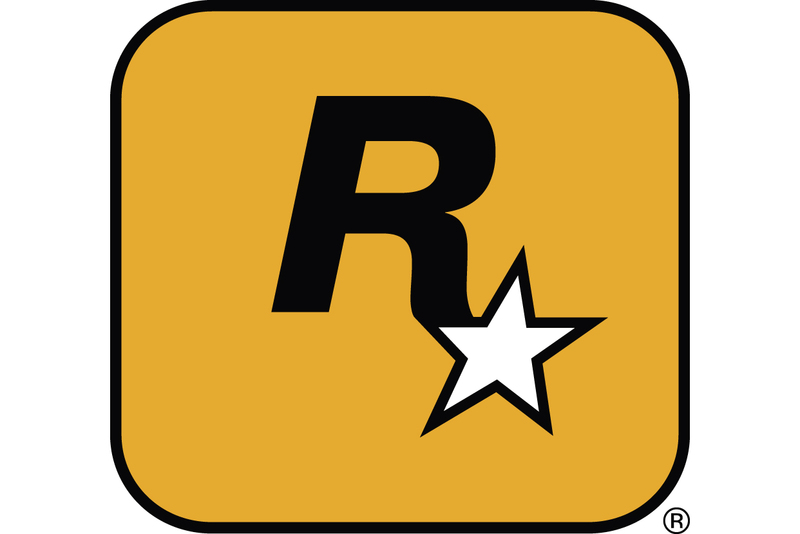 Gamasutra: Orchidee Stachelig's Blog - Game clones in Eastern Europe: here's why. Game clones in Eastern Europe: here's why. Disclaimer: this is just my own opinion. Without the repetitive words of "I think" and "in my opinion", because that's ugly. "Some really good games, but, sadly, lots of clones of known mobile titles" - was the feedback of a friend who recently got back from a gamedev event in Eastern Europe. And here's why. A lot of people (including myself) know - we have lots of talented devs in Eastern Europe. But the economies of most Eastern European countries force mere mortals (not talking about the rich here) to put survival needs above any creative or innovative aspirations. Simply speaking, those talented devs are challenged daily with what to put on the table tomorrow. "Poor finance management" isn't the reason here: in Eastern Europe one needs to have a stable dayjob + a side gig to have a decent level of life. It's been like this for a long time, and surely affected the national mindsets, adding to the feature of "grab as much as possible as soon as possible" whenever an opportunity shows up. Again - not that people are bad, but they've been using every opportunity to survive for decades. Things like that take a while to change. And innovative stuff, even if developed by an individual, was usually represented by and associated with the state. Whatever a person invented or made, was "marketed" as an achievement of the state (that the creative individual should be proud to represent) - but not as their own. So "getting sh*t done without standing out too much" is part of the case. They do make games trying to follow successful titles' footsteps...and then what? Why Do They Bother Making Clones? Because people in other countries make games, so "why can't I"? And that is cool. That is a good beginning. Quite often it's a good beginning with a wrong focus. It's not about "make a cool game to make money on", as lots of people mistakenly think. (Though this strategy could possibly work if implemented wisely...) The successful titles everyone looks up to are mostly "made a cool game, people liked it, and were willing to pay for it". At least the indie. Here's one of the promised good things: people learn what doesn't work, and eventually make something awesome. Clones are often the "first steps" for dev teams - not just those starting gamedev from scratch, but even those of experienced people exploring a new direction of tech. Mainly people with solid financial backup can afford taking risks and making "their dream game" that usually happens to be different from the existing ones. One needs to pay bills and eat. Eastern Europeans do want to make outstanding things never seen before, and they're getting them done - think of games you were impressed by at shows, that have been made in the region! But there are lots of things in the way, which are hard to explain to people who probably never faced them. It will take a while to get the majority of Eastern Europeans to "why the f*** not?" out of "I wanna make what they made but make more money on it". This part is double-ended: depending on the personality type of a particular dev, feedback coming from Eastern Europe can be either crushing or motivating. Think of it as "say something nice or say nothing" gone wrong: got sh** to say? Do it! This isn't because people are bad. It's just that in Eastern Europe it's common to mind everyone else's business and trash talk anything that doesn't align with someone's beliefs or preferences. And now put an uncommon gameplay in this environment. How many people will it make uncomfortable because they've never seen anything like that? I've reached out to some Ukrainian dev friends whose games got recognition in the international dev and player scene, and asked what they think of feedback they got at home or around. PUSS!, the arcade puzzle by TeamCoil, that has been chosen as Best Unity Game of winter season of GTP Indie Cup, and recently showcased at PAX East. 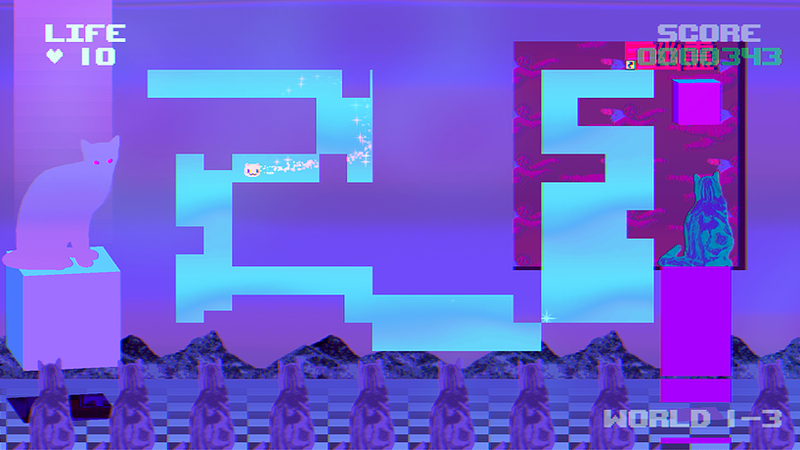 Developer Ivan Zasyadvovk told me about commentary on their trippy meowy creation being "yea, this is just a game, but what if the creators are satanists or are making fun of Satan?". Another thing worth noting is that Eastern European curse words are way more derogatory than the common ones in English. At the same time, they're widely used in emotional everyday speech, where they usually don't mean to offend, but rather to emphasize the emotional importance of what's being said. Confusing, I know. Think of something that sounds insanely rude, but is actually just emotional with not the best wording. Those things are the hardest to translate. 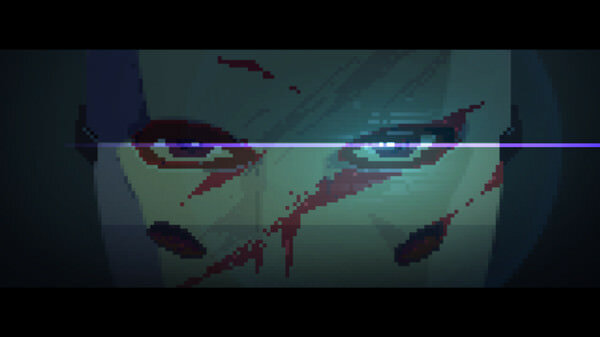 Igor Arterchuk from the Party Hard dev team of Pinokl Games shares a different view. He says that overly supportive feedback leads to disappointment in the end, as well as waste of time and money. Igor sees Eastern European feedback as "sincerity that looks like negativity", while generic supportive feedback is what hides real problems and makes it harder to evaluate your creation. On the other hand, people giving "expert opinions" without taking their actual experience into account are what Igor sees as another Eastern European issue. "If a CEO of a company that makes slots criticizes a survival game - he isn't the best one to judge. While in Western Europe or the US people understand the difference in expertise, and can sincerely say they made their millions on console and are no expert in mobile, so feedback is more that of a consumer." Igor admits he caught himself doing it too, and is now trying to avoid giving feedback on things he isn't experienced in, or doesn't have data from. 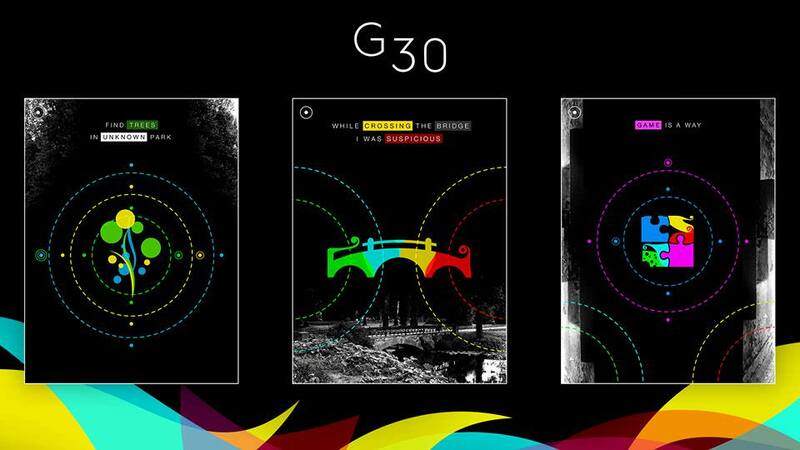 For G30, the artistic puzzle game by another Ukrainian dev Ivan Kovalov, nominated for International Mobile Gaming Awards and previously winning contests at Get IT and Casual Connect conferences, feedback has generally been nice regardless of where the game was showcased. "Some weird feedback happened when people saw like 1% of the game and tried to give a detailed commentary right away. But for me it's mainly been the other way around: people saw something new and unusual, liked it, and were doing their best to give useful feedback to help". Someone in Eastern Europe makes something outstanding. Of course, others now want to make something cool too. Inspiration at it's best, right? It is, until it goes wrong. The next big thing is surely going to happen in the region, someone is going to think outside the box. Before that, there will be dozens of people modifying and reskinning that existing successful game, mixing it with known Western game mechanics and the ones known for bringing money. Whatever frustrating this might look, I'd say this is an inevitable first step towards the next "The Game" made in Eastern Europe. The sad part: most of the "copycat" devs will fail, and occasionally flood showcases with unoriginal projects. The best way out of this - for a dev - would be to use that initial unoriginal experience as a "test subject" - to figure out what to avoid with the next, never seen before game. Lots of text, but a short idea: get out of the box and make what YOU think players will like. That works. Money comes to a fun game, and not the other way around.